If you don’t want the close monitoring you get from one-on-one personal training or you like to work with a group of like-minded people, we also offer small group fitness sessions at each of the Personal Best studios. 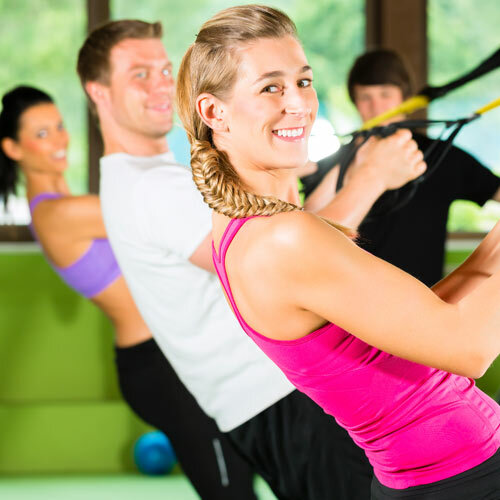 These group fitness training sessions offer many of the benefits of personal training without the individual supervision. Monitoring of your performance will help in adjusting the program as we go and to ensure that we increase the intensity when it is needed. Studio group fitness training is available at specifically allocated times which vary between each of our personal training studios. Your session time may be shared with up to 5 other people and while it is not a one on one service you will still be monitored through an individualised program by one of our personal trainers. To assist in the process of developing your program, we will assess your current level of fitness by conducting a comprehensive fitness assessment. This will then be repeated every 2 months to assess your progress as well as show any areas that need additional attention. Your program will be adjusted accordingly in line with your ongoing results. The results of each of your fitness assessments will be available for your viewing in graph form on the My Personal Best website. Get your FREE 1 week of group sessions.